The Globe and Mail reported on April 30 Robert Deluce, Porter Airlines CEO, addressed a luncheon gathering of the Empire Club in Toronto. As the club’s website says, “The Empire Club of Canada (ECC) is recognized as one of Canada’s oldest and largest, more important speaker’s forum. Our membership and speakers are comprised of some of Canada’s most influential leaders from various professions, businesses, labour, education, government, and cultural organizations”. Mr. Deluce’s address was sponsored in part by Bombardier, assemblers of the Q400 used by Porter Airlines and the CSeries of jets that Mr. Deluce has on order. The other sponsor was Norton Rose Fulbright a firm that describes itself as “Canada’s first truly international legal practice”. It lists transport as one of its key industry sectors. Mr. Deluce was at the Empire Club to promote the Billy Bishop Toronto Centre Airport (BBTCA) expansion. He gave his version of the expanded airport. · At December 31, 2009 Porter had $20.1 million of debt. However, on or about November 20, 2009 Mr. Deluce claimed profitability since mid-2007. A debt of $20.1 million is the Deluce version of profitability. 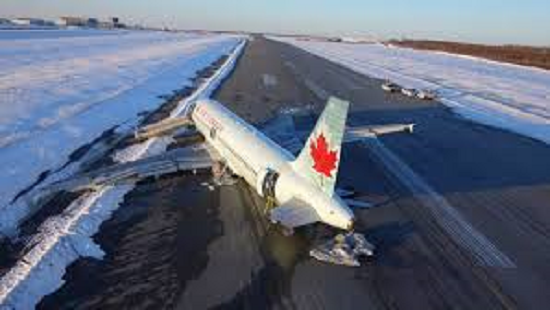 Mr. Deluce, in brushing off concerns about runway excursions, like the recent mishaps at Halifax and New York stated that his extension plans take longer runways into account. 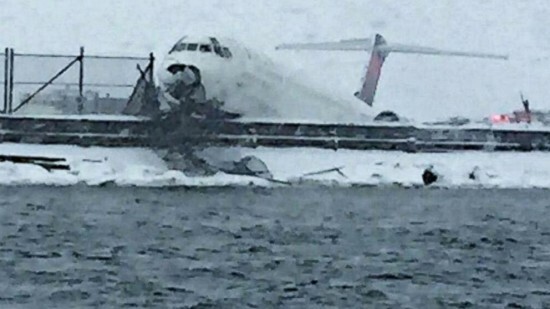 The implication is that longer runways at Billy Bishop Toronto Centre Airport (BBTCA) will prevent aircraft from crashing or slipping off the runway. In both the Halifax and New York instances, the aircraft looked to have plenty of runway. Runway length doesn’t seem to be a factor here either. More worrisome is a scenario involving birds the CS100’s 73-inch (six feet, one inch) diameter jet intakes. The flying public deserves answers concerning bird strike contingencies. It is also Mr. Deluce’s contention that Transport Canada will soon ‘demand’ 150 metre safety areas (RESAs) which will require longer runways. It appears Mr. Deluce isn’t aware, or if he is aware, isn’t prepared to mention a Transport Canada suggestion as to how to accommodate the 150 metre RESAs at airports that are restrained by obstacles such as bodies of water. Of course, a shorter runway length wouldn’t suit Mr. Deluce’s purpose if it restricted his current operations or put a damper on his expansion. As for Mr. Deluce’s contention that the Transport Canada’s demand will come soon, the Transportation Safety Board, the body that called for the safety areas in 2007, is still monitoring Transport Canada’s action on its seven-year-old recommendation. Marine Exclusion Zones (MEZs) are the watercraft keep-out at the ends of the runways. City Council, in its vote on April 1, 2014, made quite clear that runway expansion was a non-starter if expansion of the MEZs materially impacted current boating activity. In its report, Review of Potential Future Safety Zones at Billy Bishop Toronto City Airport with Bombardier CS100 Jets, Transport Action Ontario (TAO) begs to differ. 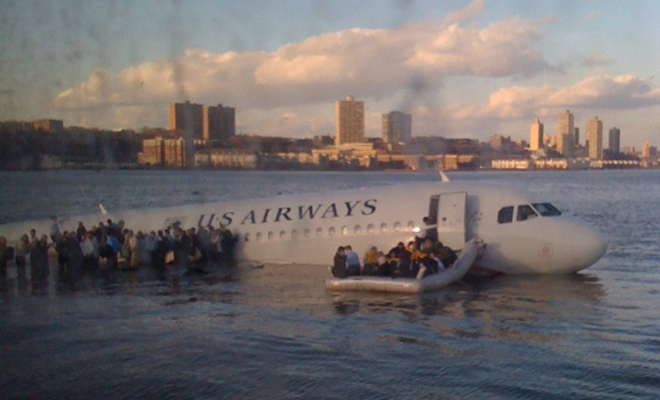 Its information on Obstacle Limitation Surface (OLS) discusses the restrictive cone emanating from the runway threshold that determines the no-go distances for watercraft. At the western lake side of the harbour, boats exiting and entering the Western Gap will be restricted to an approximately 55 metre wide passage way where the OLS meets the Ontario place seawall. The report goes on to question the manoeuvrability of a jet in difficulty so close to watercraft in the passage way. There may be, of course, the danger that expansion proponents will deny in theory, as Mr. Deluce does, that watercraft will suffer any material impact in order to the get City Council to OK their proposal only to find out in practice that boating in the harbour and through the Western Gap will be severely restricted in the name of safety. Only then it be too late. From his take on Porter’s financial situation, to his version of the runway lengthening, to his account of the MEZs, it is easy to see why Mr. Deluce might want to push his own version of the facts. After all, to admit to a larger picture with contrary evidence might restrict his ability to strike it richer with runway expansion. However, it would not be so easy to see why city councillors would buy Mr. Deluce’s facts without getting the full story from other sources.